So, the All-MAC teams were announced today in advance of the finals coming up this weekend from Ford Field. BG had four players on the 3 All-MAC teams, which I guess is about what you would expect for our record. The highest ranked player was Scott Miller, who was 2nd team at WR and noted on twitter that he had been overlooked again. For my money, he's a first-team player, though the players who did make it can make the same claim. It was Miller's third time as All-MAC. The others were on the 3rd team. They included Andrew Clair for the second straight year, Jack Kramer for the first time and Marcus Milton for the first time. For my money, Brandon Harris was an all-MAC performer as was Jerry McBride, but I do get that the team wasn't very good and you are only going to get so many guys on the All-MAC team. Also, the players who did make it were all solid performers as well. Here are the specialty award winners, none of which can be argued with, in my mind. In particular, Lance Leipold deserves Coach of the Year for what he has done to build that program. So, the news is in. BG has named Scot Loeffler as its new head football coach. Except for him QBing Michigan, (that's a joke, almost, although I did see OSU fans go to Fifth Third Field once just to boo Drew Henson) I believe this hire will be greeted with enthusiasm in the Falcon Nation. Loeffler is from Barberton, OH, which is in the football belt over there by Akron. He played at Michigan and then was an assistant there, so he knows his way around Ohio. He then was the QB Coach at Florida, and then OC at Temple, Auburn, Virginia Tech and Boston College for the last 3 seasons. He also coached for the Detroit Lions for one year, which is sort of a professional football team. He's strictly an offensive guy, so it will be interesting to see how that might play out with our current defensive staff. 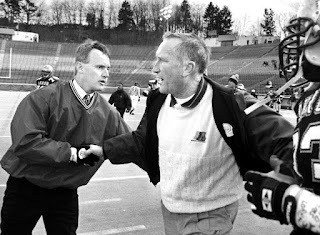 In fact, I don't know the last guy we hired who was a defensive coach. It might be Blackney. Anyway, we have some skills on offense, so someone to plug into that would be good on the immediate front. Obviously, the heat is on to start recruiting. Again, I think the fan base will be happy. He's from Ohio, knows the area but also has been at some major programs. He has been around good coaches and coached some very good QBs. Time will tell...and regardless of who it is we won't know until at least two years are past because we're in a hole...but I think this is someone we can get behind. Also, his wife went to BG so he has good taste in women. I always think that you'd want someone who had been a head coach before, but everyone has to start somewhere and I do trust that we've talked to him to assess that (unlike the last time). Moos has hired what appear to be two good head coaches so let's give this one a good shot. Welcome to the Falcons, Scot. Presser is tomorrow. Beat Toledo. BG picked up a needed win on Sunday against Drexel at the Stroh. Drexel's not the world's greatest team--in fact, they are picked to finish last in the CAA--but they did play EMU to within 4 points, etc. After a first half when BG was pitiful on defense, the Falcons locked in for the second half, got a bunch of stops and a lot of transition baskets and ended up with a 10-point win at home. All disclaimers acknowledged, I feel like BG is finding out better the players it has access to, including Matiss Kulackovskis and the emergency of Daeqwon Plowden, who is improved over an already solid sophomore season. So, the first half was a no-D affair. BG shot 50% and Drexel shot 57% and the Dragons led 45-43. BG came out more focused on defense, according to coach, and Drexel had a hard time finding the basket for the first few minutes. The Falcons scored the first 12 points of the half and led by 10. The worm turned and it was BG who couldn't get out of its own way and the game was tied again soon, with about 12 left. The game was close for the next 3 minutes and still tied with 9 left. Once again, BG started to get stops and Drexel missed shots and BG went on a 12-1 to go up 11 with 4 minutes left. At this point, BG did a good job, answering pressure with odd-number mismatches to the basket. The lead got as high as 13 and was 10 inside of 1 minute. Drexel got it to 7 but couldn't capitalize on some BG FT issues and the Falcons ended up making enough FTs to preserve that 10 point win. BG scored 1.02 points per possession, which was way less than Drexel had been allowing. BG shot 53% on 2 FGs--which is good--but only 20% on 3FG. This led to a subpar offensive performance, matched only by a really weak .89 points per possession for the Dragons, who shot 22% overall and from 3FG in the second half, when BG was able to do enough to put the game away. As you can see, both teams took good care of the ball. BG was significantly better on the boards, particular in the second half, and the Falcons got to the line more, though poor FT shooting by BG left Drexel plus one on FTM for the game. The game was played at a really fast pace at 80 possessions. I don't have stats for it, but I felt very much like BG did a much better coming off a miss than they did off a made basket. Drexel played quite a bit of zone and also put some pressure on the Falcons--both things you could have observed to be successful against the Falcons on film--and BG was/is pretty stagnant in half-court sets. On the run, BG seemed much more effective. As mentioned, BG also broke pressure effectively and attacked the mis-matches that would result. The other thing I thought was clear was that the team was much more effective with Kulackovskis in there. He only scored 1 point, but Coach said he moved the ball and that's a valuable commodity on this club. If BG can incorporate him into the rotation, they then have a pretty good 8-man lineup. Individually, the star of the game was Justin Turner. He was just incredible. He scored 29 on 11 of 19 and 3 of 4 shooting to go with 11 rebounds, 6 assists, 2 blocked shot and 2 steals and only 2 turnovers. In addition, he guarded the Drexel point, their FR star, and he shot only 5 of 16. Wiggins double-doubled as well, with 16 points on 6 of 10 shooting and 4 of 5 FTs, and 12 rebounds. Dylan Frye ended up with 10, but he had one of those games were absolutely nothing went right. I've had 'em, you've had 'em and Dylan has had 'em. Back at it tomorrow. BG also had meaningful contributions from Lillard with 9 points, Plowden with 8 points and 6 rebounds (and is almost averaging a double-double over the last 3 games), Laster with 6, and Kulackovskis as mentioned. So, BG is 4-3. Next up is Hartford on Saturday. They are picked 2nd in the America East conference, which is the #23 ranked league. It's got the potential to be an interesting test. What we are interested in seeing is whether this team can develop enough quality players to compete in the MAC. Some former Falcon notes as the regular season ends. James Morgan had a rough game and FIU failed to clinch the East Division at home against Marshall. He is #8 in the nation in passing efficiency. Dino Babers went 9-3 for Syracuse this year. They are top 20 ranked and that's the most Orange wins since 2001. A bowl win would mark their 5th 10 win season in program history. Dave Clawson had a tough year. They had 13 season-ending injuries. Even so, they beat Duke 59-7 in Durham yesterday to get to 6-6 and be bowl eligible for the third straight year, only the second time Wake has ever done that. 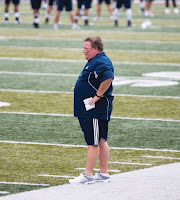 Gregg Brandon coached the Colorado School of Mines to the DII playoffs again. They were #1 in the nation in total offense and #4 in scoring. They hung 82 on a conference opponent. Terrence Stephens led Robert Morris in rushing with 793 yards and 4 TDs. Cam Jeffries played in all 12 games at UC, with an INT and 2 FR. Tyree Jackson transferred to Southern Illinois and made 5 tackles. Calvin Clater transferred to Stephen F. Austin and played in 3 games without a catch. So here we go.....with seniors removed, here's the BG depth chart as the season ended. I added in the injured players I recalled, LMK if I missed anyone. This is as known today. We'll have to monitor it as the off-season progresses. Easy to see that everyone almost is expected back on offense. On defense, you lose Brandon Harris, the best player, and key players in the secondary. The dline doesn't lose anybody, but was undermanned and would start next year undermanned as well. Yesterday was Scott Miller's last game as a Falcon, and it's appropriate to spend some time recognizing one of our program's all-time great receivers. 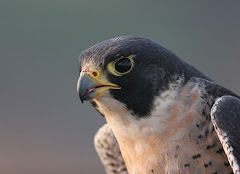 The following comes from BGSUfalcons.com. Scott Miller finished his career with four catches for 115 yards and two touchdowns. Miller ends the season with 1,148 yards – the third most in a single-season in program history. Only Freddie Barnes (1,770 yards in 2009) and Roger Lewis (1,544 yards in 2015) had more. Miller's two touchdowns give him 23 receiving touchdowns in his career, tying him with Roger Lewis for sixth in program history. Miller also climbed to ninth all-time at BGSU in all-purpose yards (3,736) and tied for third in career receptions (215). Also, third in career receiving yards. Third most yards in a season. Also, wears a championship ring from the 2015 season. Has been twice All-MAC and is sure to make it 3 when they are announced later this week. Last note: In his final game he had 115 yards and the BG offense as a whole only had 205. He had both touchdowns and 3 of the 6 first downs. He was here for some good times and some tough times, but he continued to do his job. He's an all-time great. Best of luck from here on, Scott. You're always a Falcon. So after a break for the holidays, the Falcon men take to the home floor Sunday to play Drexel. It comes off a pretty disappointing performance in Detroit...though I spoke to some people who were there in person and there are not enough positive adjectives for Antoine Davis. You're going to be able to brag you heard about him EARLY. Anyway, Drexel plays in the CAA. They were 13-20 last year and BG beat them in the season opener in Philly by 9 with Drexel missing two of their top players. That's the only meeting between the schools. They lost 3 starters from that team and have a lot of new guys. They were picked to finish last in the CAA by Blue Ribbon this year and 9th in the official pre-season poll. The Dragons are 3-2 so far this year. They lost by 4 @EMU and @Rutgers, won a non D-1 game and won @LaSalle and beat Boston University at home. None of those wins was especially notable, though the 4-point loss to an EMU team expected to contend for the MAC is worth paying attention to. The historic problem for Drexel has been defense. Since Bruiser Flint left, they have been over 1.1 points per possession for the first full seasons and they are at 1.08 this year, which is 313th in the country. BG scored 1.03 against them last year. So, as you can see there, on both sides of the ball the defenses will be struggling as compared to the offenses. The differential is even larger when BG has the ball, when the #186 offense battles the #313 defense. Simply put. this is a team that can be scored against and BG needs to show they can get that done. Drexel's games are at a reasonably paced 71.6 possessions while BG has played at 71.9. To highlight that element, so far this season Drexel has been terrible against the shot, forced next to no turnovers, did ok at rebounding and doesn't foul. Meanwhile, BG has been not great at shooting, turned the ball over at times, good on the boards and at getting to the line. The Dragons are #314 at defending the 3FG and in the 280s against the 2FG. BG needs to make this one of those nights when they can get shots to fall. Flipping it around, this matchup is considerably more even. Drexel is a good 3FG team, though they don't overshoot them. (With the shooting against BG from beyond the arc, this should be a focus). They are about average on 2FGs. They are excellent at the FT line (78%). Their leading scorer is Trevor John, a grad transfer from Cal Poly. He's 6'3", scores 14 a game on 51% shooting. Of his 43 FGAs, 41 have been for 3, so that's quality shooting. Alihan Demir is their 6'9" big man from Turkey who did not play against BG last year. He's scoring 13.8 on 52% shooting to go with 6.8 rebounds per game. Camryn Winter is a true FR and is scoring 10.8 PPG on 65% shooting (very high for a guard) to go with 5 rpg and 5 apg. Zach Walton is a 6'6" JUCO guy scoring 10 PPG on 53% shooting. Note: yes, they have a couple other players who are taking shots and shooting a very low %. Anyway, this game is far from a slam dunk for BG. It's one BG should win, especially at home, but has been kind of limping along since leaving NYC. Let's hope the team can put together a complete effort and get this W.
Now that the games are over, BG enters its most critical off-season in years. Two reasons. First, BG absolutely must get this coaching hire right. They cannot afford another miss, or it's going to be a decade in the wilderness. It's 25 days until the first signing day, but BG has to get the right guy, regardless of how long it takes. Even so, I think BG has to avoid the sound of the clock ticking. This has to be the right guy, and if we have to wait for him to be done this year, so be it. We are probably three years away from competing again, and with the wrong guy or a rushed guy, we're farther away. The other thing to watch is transfers. I hope it doesn't happen, but I suspect that BG will lose some guys in today's transfer-crazy world. In particular, those guys who played as true freshmen can transfer and sit out their redshirt year and the redshirt juniors cold graduate transfer. This is another situation where having a coach sooner would be better, but we need to have the right guy above all. Which brings us to the quickest move BG could make....and that would be Coach Pelini. I don't know where this stands (obviously), but I think it is clear that Moos is out talking to other people, which is fair. We have to get the right guy. If it's Pelini, that does help quite a bit. I don't know if he's the right pick or, more importantly, the best pick. He might be the best interim coach in history. He has understood his role, acted as a steward of the program and the hopes of our players and done so with dignity and pride. I've admired it 100%. I don't blame him for the defense not getting much better. I've talked about that before. If Moos says he looked around and Pelini is the best guy, then I am for it. But, it has to be the best guy, not the comfortable guy. Sidenote: the players made noises after the game about going to the administration to advocate for C Coach Pelini. This is a chilling idea. The last time BG players advocated for a coach, they were threatening to transfer if Gregg Brandon didn't replace Urban Meyer. We know how that worked out. This is not a decision you leave to a bunch of college students. The next three weeks or so are going to have an impact on this program for years to come. This is a lot of pressure, this is what the job is. He seems to have gotten us a good WBB coach and he hired Matt Fannon as well. I believe he will do it again, but it's likely to get worse before it starts to get better. That's it. It's over. 3-9/2-6. And back on the coaching market. There's not much to say about today's game. Buffalo is just way better than Bowling Green is. The final was 44-14. It could have been much worse. Buffalo got the lead and then relentlessly ran the ball on a continually undermanned BG defense. They ended up holding the ball for 42 minutes. They ran 84 plays. BG ran 37, while Buffalo had 30 FIRST DOWNS. BG had 6 first downs. The Bulls earned a mulligan with their early season play and when they had a second chance after stubbing their toe against OU, they didn't miss on anything at the Doyt. It was completely one-sided, as expected. That's a very good Buffalo team and a very sub-par BG team giving it all they had, but not having nearly enough. BG's defense continued to have injury issues, with Brooks and Haigler being unable to go. All credit to Lance Leipold for what he has done for this program. I'd love it to be a model for what we could do. Solid, normal, replicable football, built on strength up front, without systems or gimmicks. So, on we go. Will have a post in the morning on the next steps, but the next few weeks are really important. This program is clearly headed in the right direction. They made a great hire with Lance Leipold. He was 2-10 his second year, up to 6-6 by the third and this year is 9-2. They beat Rutgers 42-13 and then lost to Army by the same score. They were cruising until they lost to Ohio U in their last game. This is a very good football built on the right foundation, a model I hope we see from the next BG coach. (Just a scheduling note. BG played 3 P5 programs non-conference. Buffalo played 1 and it was Rutgers). This is still a young team. They have 22 juniors and seniors on their depth chart. They will lose only 3 starters on offense. Tyree Jackson is #16 in passing TDs, 11th in points responsible for, #13 in passing yards per completion. KJ Osborn is #15 in punt returns. Anthony Johnson is #15 in receiving TDs and #16 in yards per reception. It's good. Tyree Jackson is huge. He's only #7 in pass efficiency and is definitely a dual-threat QB. They have a big play game. He gets 14.5 per reception, which is top 20 in the NCAA as noted above. He completes only 57%, which is not unusual for a high-average passer and does have 7 INT. They are 3rd in the MAC at 34 point per game and 3rd at 6.1 yards per play. Just a note--this is a much more proficient offense than either CMU or Akron. They are 4th at 4.9 yards per carry. Their lead back, Jare Patterson, averages 5.7 per carry. They are 6th in the MAC in pass efficiency, for the reasons noted above. They have Anthony Johnson, who gets 19.3 per reception and are 4th in the MAC in yards per game passing. They run on 60% of their plays, which is very run heavy. This is kind of NIU's offense from the Wolfe days....good running and go over the top. 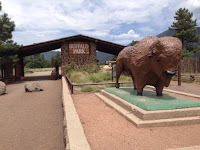 They are not great for a running team at 4.8 points per trip. They do. They have given up sacks on only 3.8% of pass plays. Tackling Jackson is like tackling a double wide. They are 7th in scoring defense but 5th in yards per play. They are tied for 6th with 4.6 yards per rush allowed. They have the 3rd best pass efficiency defense in the MAC. They allow 51.7% completions (lowest in MAC), 12.6 yards per reception, and 10 TDs with 8 INT. They are 9th in the MAC, behind BG, at 39%. 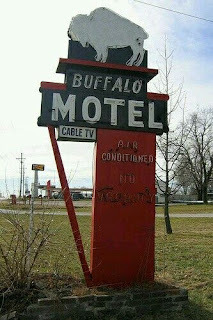 They are not good, at 6.5 per trip. They are not good, with sacks on 3.2% of attempts. They are 6th in net punting. They did allow a PR Return for a TD (all games). They are 3rd in punt returns. Osborn is a good one. Adam Mitcheson started kicking before when buffalo were still plentiful in upstate New York. He's have an off year, at 7 of 11 and 3 misses inside 40. Long 46 and has been blocked once. Opponents start on the 27, so not good. They start on the 24. This is really interesting. 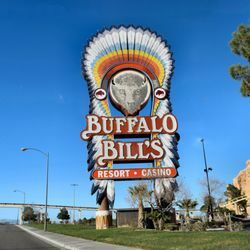 Because of the OU lost, UB's season rides on this game. Meanwhile, BG is on a two-game winning streak and has literally nothing to lose in this game. They can play with no pressure on them at all. When the gun sounds, the season is over. Weather is supposed to be decent but the stands will be very empty, there's no doubt about that. That's an odd football environment. On paper, Buffalo should be an easy favorite. I would think they will be especially focused after the defeat against OU. BG badly needs to establish the run against them on offense in order to get the passing game going. Conversely, BG needs to play its best rush defense game of the season against the Bulls, who I suspect are willing to throw very few passes to get the win. Even with all that, I'm looking forward to the game. Who knows. Happy Thanksgiving to the Falcon Nation. It's time to reflect on our good fortune. That includes the privilege of using our time and money to follow college sports teams. As always, we can best demonstrate true gratitude by striving to be better people and to help those who are suffering...by giving more and taking less. The question right now around the men's basketball program is whether BG is better than they are predicted to be. I have felt like they would be...and there was an early result which indicated that it might be true...but the two games in Detroit showed precisely the opposite. We may be who they thought we were. The first thing was the buzzer beater over Hampton, who went on to lose by 9 to Loyola Maryland in the second game. I think it is safe to say that Hampton would be a lower ranked MAC team and BG barely beat them on a neutral floor and was handled most of the way. The second thing was last night, where the Detroit Titans pummelled the Falcons 82-67...and the game actually wasn't that close. This is a Titan team that five months ago had 3 people, and they are trouncing us. Meanwhile, we dig a hole with the Jans transition and THREE SEASONS later we're still in the hole. It was a home game for UD, I understand that. But, you don't expect to get trounced like that. 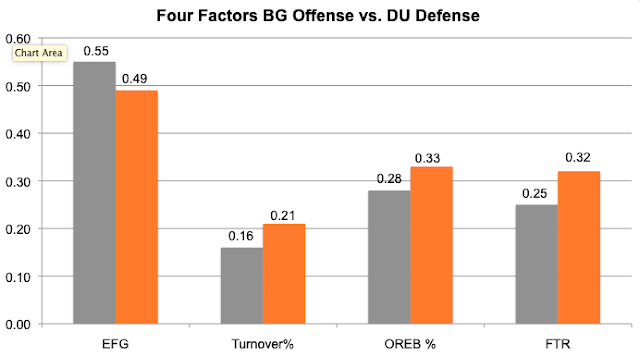 UD scored at will, especially on 3FGs and they played a 2-3 zone, which BG cannot handle, despite facing it at least once every season. One thing we learned is that BG needs Wiggins in the game. There's no backup that BG has confidence in...Mattos only played a couple minutes. BG was down 8 when Wiggins left the game with his second foul with 11 minutes left, and Detroit outscored BG by 11 for those 11 minutes. Coach said that our issue was that we missed too many open looks. The Falcons certainly did not execute on offense, scoring .94 per possession. That's 43% on 2FG and 21% on 3FG. Last year, the D1 averages were 50% on 2FG and 35% on 3FG. Wiggins and Turner were 5 of 14 and Frye was 5 of 12, for example. Here's the way it panned out. BG was out shot from the field and at the line. UD made 17 FTs and BG made 8. As Todd Walker noted, you can usually rebound against a zone, and BG did that, but normally those turn into second chance shots right at the rim, and BG shooting percentage did not appear to be that good. Individually, the best thing to happen was that Matiss Kulackovskis got some minutes and performed well. He was 4 of 8 and 1 of 2 from 3FG and 4 rebounds in 13 minutes. Coach said that he actually runs a certain OB play the way Coach wants...Coach said this before when he had the football players, that they actually rolled to the basket as directed...I don't think it's a good sign that the players don't execute the plays the way the Coach asks them to. Wiggins had 13 and 9, but shot poorly as noted above. Frye had 13 and Turner 11, also on poor shooting. The other player who did have a good game was Plowden. He scored 10 on 4 of 6 shooting and had 13 rebounds. In his case, and in Matiss' case, I think BG needs to find ways to get minutes down the lineup. It was ugly. No doubt about it. BG is 3-3 and plays Drexel Sunday. They are 2-2 with a win four-point loss @EMU, one of the projected favorites in the MAC West. It is a mystery to me why the University of Detroit is not a consistent power in basketball. They really should be. They are in a fertile recruiting area in a basketball town. 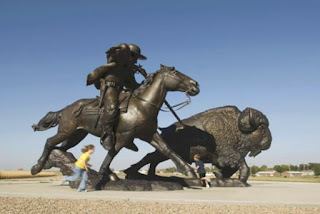 Their town is picked over by recruiters from around the country. It just should be something you can count on. Alas, it has not been. They have had their moments. Ray McCallum Sr. took them to the tourney in 2012. They made it twice in the late 90's. But they are not a consistent power. They decided that they had enough of Ray McCallum Sr. after a couple of average seasons and let him go. (Note for the curious. Ray McCallum Jr is playing in Turkey as a pro). They went for Bacari Alexander, a UM assistant and UD grad, and this was an abject disaster. He won 16 games in two years, was suspended, etc. And fired. 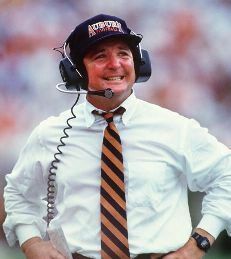 Then, they went on a coaching search that did not end until the middle of June, when they named Mike Davis to the job. And I believe they have the man who can do what they need. Davis can coach. He replaced Bob Knight and took IU to the Final. He won 63% of his games at UAB and then he went to Texas Southern and took them to the NCAAs 4 times. He was 88-20 in his conference games. Is that something I might be able to interest you in? He can coach and if they stay with him, I think he might do some big things at UD. In the meantime, things could be a little rough. They had only 3 scholarship players around when Davis got there. Think about that. He had to wonder how a team was going to end up on the court. He went to work. They have two graduate transfers...Angelo State and New Mexico. The roster has five freshmen on it. There's also 5 JUCO players. I suspect they had to wear name tags to the first practice. They are not expected to be good this year. They are picked last in the Horizon. Kenpom has them #329 out of 351 D1 teams. They are 1-3 this year. They lost @WMU by 13, @Temple by 16 and @Butler by 21, none of which would be called a catastrophe. They beat Loyola-Maryland by 28 in their home opener last night, in what would qualify as jesuit-on-jesuit crime. Loyola-Maryland is also ranked low, but that's a blowout win in your home opener. They were led by Antoine Davis--the coach's kid, who was headed to Houston before Dad got the job in the D--WHO SCORED 42 POINTS shooting 14 of 21 and 10 of 14 from 3. He also had 5 assists. Is that something I might be able to interest you in? He scored 32 against WMU, 30 at Temple and 20 at Butler. Overall, he's shooting 49% on 2FGs and 50% on 3FGs. Derrien King, the grad transfer from Angelo State (Jinks alma mater), scored 17 on 6 of 13 and 4 of 7 shooting. Gerald Blackshear--a holdover--had 9 rebounds. Anyway, this team might be on a quicker turnaround than expected. They are #85 in frequency of 3FGs and #28 in making them this year, to date. They are terrible at the free throw line. 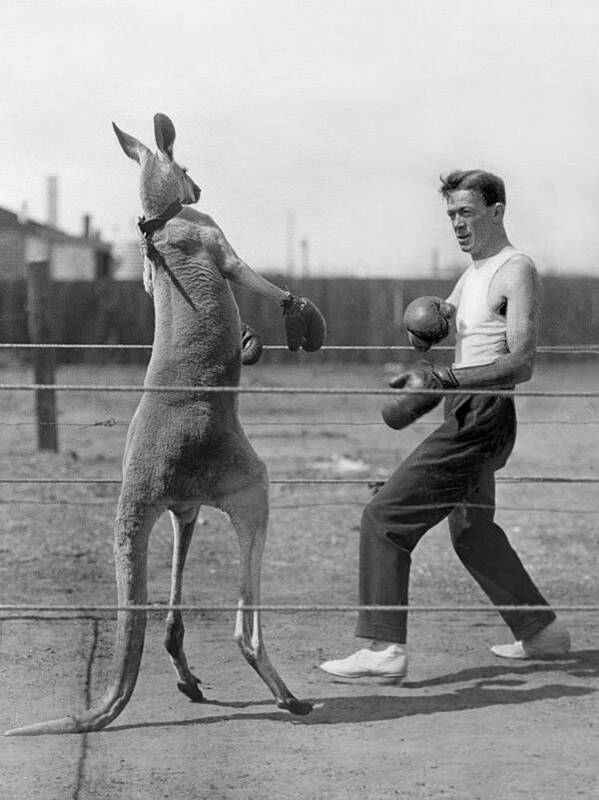 This has actually turned into an interesting matchup. Pure road game for the Falcons. Buzzer Beater! Falcons win with Buzzer Beater! BOOM! The path to that result was far from certain for most of the way. With hot shooting/spotty BG defense, the Pirates took the lead early, leading by 12 in the first half, 8 at halftime, and then back at 12 again in the second. It was a surprise. Hampton had been among the worst shooting teams in the country for two games this year and BG had been defending the shot well, but the world turned upside down for the first three-quarters of the game. HU was leading through most of the second half. They had a 12 point lead early in the half. BG got it down to 2 with about 9 left, but the Pirates built it back up again. BG got it to 2 again with and then finally strung a couple stops together, leading to a Justin Turner layup to tie the game with 4 minutes left...for the first time since very early. HU called time and then was called for an offensive foul on their end. Justin Turner scored again (3 straight baskets in this key sequence) and BG had the lead. The teams traded stops for a minute and a half or so until Wiggins was fouled picked up a Lillard blocked shot and split the pair. With 1;01 left, BG was up 79-74 on a Lillard jumper. But HU was still in the game. Fisher made a 3 and then Wiggins was called for an illegal screen and Fisher hit a 2 and the game was tied again with :22 left. BG lined up their hot hand in isolation, and Justin Turner drove and took a shot, but missed. Lillard with the board, missed the putback and then Wiggins was there with a tap in as the buzzer sounded and the Falcons finished the game with a 81-79 victory. Statistically, BG was outshot for the game. Their shooting wasn't too bad--that's about average and they shot 45% and 38%--while Hampton struggled from the 2FG range (38%) but made 46% of their 3FGs to balance that out. Note they came in making 17%. Anyway, BG won the turnover battle and the rebounds were pretty even, with two very good rebounding teams. Hampton is a really good FT shooting team, making 18 of 23 and BG was poor, at 10 of 16. Overall, the Falcons had 1.05 points per possession and Hampton 1.03 points. BG was led by Justin Turner, with 21 points on 10-22 shooting. He added 4 assists and 2 blocked shots and guarded Hampton's big scorer during the time when he finally cooled off. Michael Laster had his best game as a Falcon, scoring 15 on 7 of 12 shooting and 4 steals. Wiggins did the double double again, scoring 13 and grabbing 11 rebounds, though they make him work for it more than they usually do. He shot 5 of 11 with 3 turnovers. Lillard had 11, most on 6 of 9 FTs. and Plowden also had 11 points on 5 of 7 shooting with 8 rebounds in 23 minutes played. So, BG moves to 3-2. They are right back at it again tomorrow against either Detroit or Loyola, MD, who are playing right now. For an overall assessment, you'd like to think you could have had a less difficult time with this one, but they did end up getting the win. Most teams in the MAC are probably better than Hampton, so BG will need to continue to grow its game by the time it starts league play. But, better to do that on the backs of a win. Maryland (5-6) Nearly put Urban back in the hospital. But alas. EKU (7-4) Beat Tennessee Tech 37-6. James Morgan was 24 of 31 for 268 yards and 2 TDs. 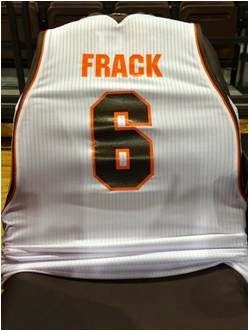 BG Men's basketball now moves along to the Detroit portion of the event they are in...the gotprint something or other. Anyway, it is not a tournament in the sense that we can't actually, you know, win it. But, there are two games at Calihan Hall--one of the classic old-school venues in college basketball. The opponent for game 1 is Hampton. It is at 5 pm Monday, and then we will either play Detroit or Loyola-MD on Tuesday at a time yet to be determined. Hampton is a long-time member of the MEAC and this year they are making their move into the Big South Conference. That's a move up in the sense that the MEAC is the 32nd ranked conference and the Big South is 26th. (Winthrop, Radford, High Point (Tubby Smith), Charleston Southern, Gardner Webb, Campbell, Liberty, UNC Ashville, Longwood, Presbyterian). Hampton won the regular season MEAC title last year and then lost to North Carolina Central in the final and went to the NIT. Even with the move up, they are picked 4th in the Big South. They have made the postseason for five straight years. The Pirates have made 6 NCAA tournaments. We've never played them. BG beat Campbell from the Big South last year by 6 on the road at their multi-team event. They have four starters back from that team. They are 1-2. They have a win over a non-d1 opponent and then they lost to VCU and Cal, both away. So, that VCU is a common opponent. Hampton lost by 12 to them. BG lost by 11. Both teams lost the margin with a late run. They took much better care of the ball then BG did, but did not shoot the ball well at all. In fact, for their first two games, they are the worst shooting team in the country, but it's still early. They are making 36% of 2FGs and 16% of 3FGs (d1 games only) both in the bottom ten. They do OK taking care of the ball, are good on the offensive boards and OK getting to the line. They are below average on defending the shot and forcing turnovers, are very good on the defensive boards and very bad in terms of fouling and putting teams on the line. Again, they've played decent competition to date. The Pirates are a guard driven team. Their leading scorer is Jermaine Marrow, a 6'0" Jr. He is a stat stuffer. He's averaging over 24 a game, and scored 25 and 26 in their games against VCU and Cal. He's shooting 43% and 36%, which is not too bad and better than last season. Also, about five assists per game (and a 1:1 A/TO) and 4 rebounds. (All games for individual stats). Their other star guard is Kalin Fisher, a 6'2" SR. He's scoring 12.3 on 36% shooting and 0-for-9 from beyond the arc. He is second on the team with 6.3 rebounds. Both of them are outstanding FT shooters and Hampton is shooting 80% as a team, 14th in the country. (They finished last year #25 in the nation, so that's not unexpected). Greg Heckstall, a versatile 6'6" R-JR F is leading the team with over 7 rebounds per game. They are not tall. There are a couple of big guys on the team, but they don't play much. In terms of effective height, they are 242nd in the country. (BG is 99th). On a neutral floor, this one could be interesting. BG should win, but Hampton has a veteran coach and they are used to winning. It will be an empty arena for that one, which is always interesting. 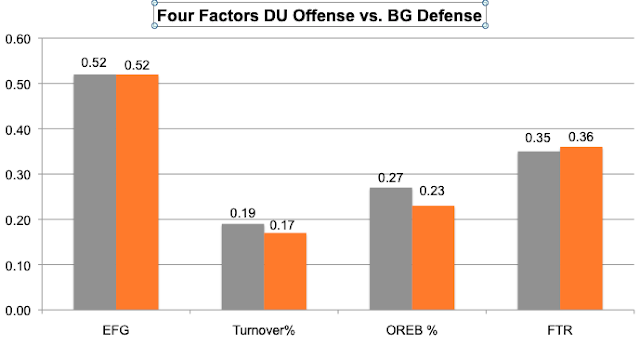 The BG defense has been much maligned over the course of this season and it was reasonable based on the results. The BG defense had little to no success stopping anyone. In the last two games, they have finally stopped someone, and they have done it with less than a full complement of players. They held CMU without scoring in the second half and they did the same with Akron. They have not allowed a touchdown in 6 quarters. All disclaimers apply. CMU and Akron are both poor offensive teams and Akron's QB was clearly not 100%. On the other hand, BG's struggles on the defensive side of the ball occurred against some high-powered offenses as well. These are teams in BG's conference--not FCS teams--and BG has been stopping them. And not without some additional adversity. Look, the defense was going to be a struggle anyway, even if you keep everyone you had when last season ended. But you have transfers and then discipline issues and then Konowalski and Belton are injured. Things only got harder. I know fans are critical of Pelini's management of the defense, but honestly losing all those guys and not being worse than last year was an accomplishment. BG played yesterday with four down lineman. That's incredible. A first for Coach Pelini. Most teams rotate 6-8 players on the line to keep them fresh, but the Falcons were forced to go old-school with their front. And they got the job done. They held Akron to 4.1 yards per play. Akron rushed for 2.8 yards per carry. They were 12 of 28 passing, for a decent 12.3 per completion. The defense got no turnovers but had four sacks. Names. Nico Lautenen tied for the team lead in tackles. Never seen that before. He also had 1.5 sacks. Caleb Biggers tied him with 7 tackles. True freshman. Kyle Junior with 3 TFL and a sack. Karl Brooks--who committed after Pelini was here--is also a true FR and had 1.5 sacks. Jonah Harper and Ty Redding broke up 2 passes each. Jerry McBride played through two injuries. And here's the coup de grace. Akron was 1 of 13 on 3rd down. You read that right. You have seen some changes in playing time. I don't know if they are related to injury or what. Biggers seems to be getting snaps at the expense of Jamari Bozeman. Last note. Gregory will miss the first half of the Buffalo game due to the targeting. I assume Redding will be in his place. Coach Pelini says he has confidence in him. LAST note. It's going to be fun Friday. Obviously, BG will be heavy underdogs. 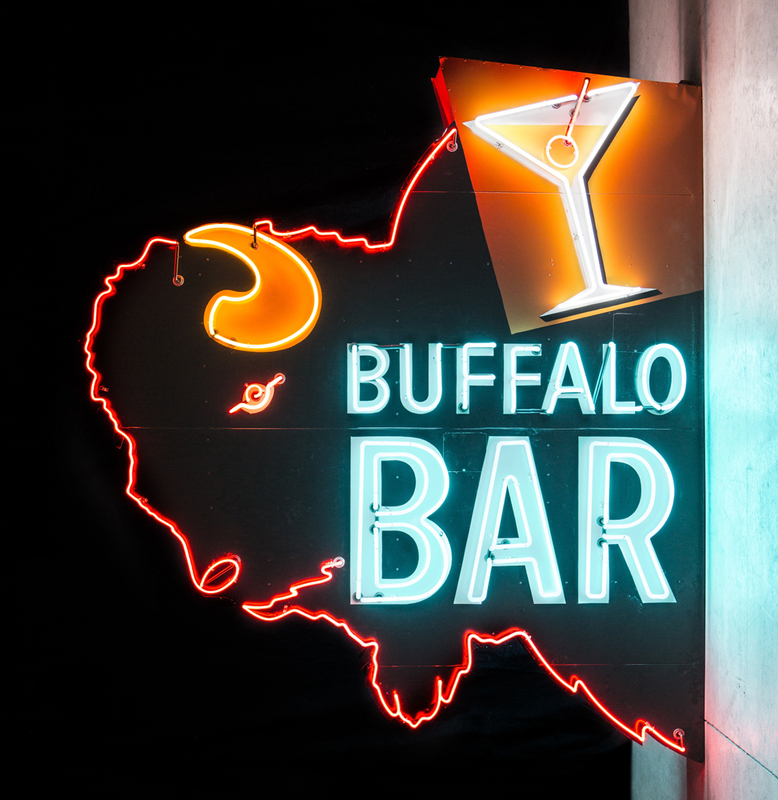 Buffalo has everything to play for. There will be zero pressure on the Falcons, however. Who knows what can happen? Not going to lie. The first 25 minutes or so were ugly for the BG offense. Four punts, two turnovers. Seven first downs. Lots of missed connections. And then, as noted in the overview, BG had that long drive at the end of the second...five first downs on that drive alone--and the Falcons were able to get into a rhythm that saw them score TDs on 3 of its last 4 possessions to put the game away. I think the 4th down play was key. BG went for it on 4th and 1 from its 29 on that key drive and converted. I think when you see that kind of confidence in what you do, the teams feels it and moves from there. BG had 5.9 yards per play, which is really good. They ran for 5.4 yards per carry--also very good, and that includes sacks--and completed a high percentage of passes (19 of 27). By the time it was done, it was a strong offensive performance. Once Doege got rolling, he showed what he can do. He completed 15 straight passes to start the second half and went 15 of 17 for the half. BG didn't rack up the yardage--it was only 9.4 per completion--but the high percentage passing combined with the run allowed BG to keep the chains moving and they got the big pass to Miller when they needed it. Scott Miller had 6 catches for 100 yards as he moves up the career reception charts for the program. That's his 11th career 100-yard game, tying him with Charles Sharon for 3rd on the all-time list. Morris had 3 for 30 and a TD. Justin Sawmiller was in the rotation as well. On the rushing side, Andrew Clair reminded us again that he is simply a difference maker. He was 12 for 112 for an average over 9 yards. Frye was 14 for 60, Loy was 8 for 47 and Denley 3 for 23 including a key 3rd down run. BG's line seemed to play much better. They've moved a couple guys around, put Kurtz at C and moved Bright back in at G. Matt Tanner also got the start at the other G. BG had a much more consistent running game and Doege was sacked twice, which isn't get on 29 drop backs but it was good enough to allow BG to keep passing. Earlier in the year, BG was hesitant to drop back due to protection issues. BG was 8 of 14 on third down. And there were the two turnovers. BG turned the old coach's saying on its head by winning the game despite losing the "turnover battle." Last note. BG is using a two-QB system right now with increasing frequency. Coach has developed a package of plays for Grant Loy essentially to run, wildcat style. Because Loy is a QB, however, the pass remains open and has to be accounted for. Pelini says that it forces the defense to prepare for two different things and makes their task harder. I know that a lot of fans hate these two QB things, but it isn't that different from what Florida did with Tebow from a tactical perspective. I'm surprised we don't use it more in red zone and short yardage. Sweet Victory: Back-to-back edition, Overview. And there it is. For the first time in two years, BG has strung together back-to-back wins. Well done, team. I admire your grit and determination. Enjoy it. BG beat Akron 21-6 in a front of essentially no one at InfoCision Stadium in Akron. Yes, that's right. Akron scored 6 points and no touchdowns against Bowling Green's defense. Let's get all of the disclaimers out of the way. The preview Friday showed that Akron is not a strong team offensively and their QB Kato Nelson was hobbled and not at 100%. With all the obstacles and difficulty this defense has faced this year, though, we're not going to feel sorry because we faced a team going through some of their own. In fact, BG was also facing obstacles on defense. DeMontae Haigler woke up with some kind of injury and couldn't play and Croslen didn't play either and BG played the entire game with four defensive lineman, something that Coach Pelini says he has never done. So, BG had that going on against a team in the conference and we were on the road and BG's defense held them and the offense woke up late in the second quarter and scored enough for BG to win and celebrate. How did it all happen? The first 25 minutes or so were not promising for BG. The offense had drives of 32, 27, 10, and 7 yards, followed by an INT and then a fumble. Akron had kicked an early FG and then turned the INT into a FG and led 6-0. At this point, the game turned around. Loy had fumbled and Akron had it on their own 45. They drove to the BG 36 but had a holding penalty and the Falcon defense got off the field. The offense started at their own 10. And then, BG put something together on offense. The Falcons got the ball with 2:45 left in the half and marched the full 90 yards before Doege hit Dorian Hendrix with a 7-yard pass to put BG in the lead heading into the locker room. The drive included BG converting a 4th and 1 from its own 29 and converting a 1st and 20 set of downs. BG scored with :10 left in the half. I just feel like that was huge. You play pretty poorly on offense but the defense keeps you in the game and then get that late drive, especially the 4th down play, and take advantage of some penalties and take the lead. The second half was all BG. More depth issues emerged for BG when Montre Gregory was called for targetting on the second possession. It looked like one they usually reverse to me, but it is what it is. I don't see a lot of consistency in how those are called. Ty Redding checked in and did a nice job, in fact. BG got the ball on its own 23. They used the Loy option quite a bit more in this game...which included a Loy pick on this drive called back due to Akron offsides. In all, BG went on a 7 play 77 yard, 4 minute drive--highlighted by Doege to Miller for 42 yards and a Frye TD--to give BG a 14 to 6 lead with 1 minute left in the 3rd. Here's an odd feeling I had. At this point, you're pretty sure we can hold them for the win. And then the finale. BG catches a break because the kickoff returner put his knee down on the one yard line with the ball. BG gets a 3 and out. The offense starts on their own 48. The Falcons covered the 52 yards in 8 flipping minutes to put the game away. That's right, a 13-play, 52 yard, 8:00 dagger drive. That includes converting a 3rd-12 on a Denley RUN, a 3rd and 10 to Wayne-Prather, committing a false start on 3rd and goal from the 2 and then scoring from the 7. At that point, it was 21-6 mid-way through the 4th and the game was over. Akron had a last drive which BG stopped and then it was as follows. So, the early signing period for basketball is open and the program has netted two signees. 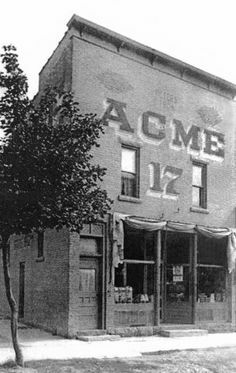 Both of them have been noted here in the past, but we have some more information on them now. One of them is Davin Zeigler out of Cleveland Benedictine. As mentioned when he committed, Davin comes from a basketball family. Trey Zeigler is a cousin of his and his Dad played at Cleveland State. Here's some info from the BGSU release. A 6-2 guard out of Benedictine High School in Cleveland, Ohio, Zeigler heads into his senior year in 2018-19 after being named Preseason First Team All-Ohio by Prep Hoops. A four-year varsity player for coach Rob Stircula, Zeigler has led the Bengals to a pair of conference championships. Benedictine has accumulated a record of 59-16 under the leadership of Zeigler – a multiple-year captain for the Bengals. As a junior, Zeigler averaged 19.0 points, 5.0 rebounds and 4.0 assists on his way to earning All-State Honorable Mention Honors. Zeigler was also named First Team All-Conference and Second Team All-District. As for Chandler Turner, he comes from the same high school that Justin Turner played at, though they are not related. He's 6'7" and had a good amount of interest. Coach says they had been targeting him for a few years. Last season, he averaged 19.0 points, 9.0 rebounds and 6.0 assists on his way to earning All-City honors for the second-straight year....Turner had several other Division I offers, including Buffalo, Kent State, Northern Illinois, Milwaukee, IUPUI, and Cleveland State. BG has 3 seniors on the roster (Wiggins, Lillard and Uju) and one scholarship free, which leaves 2 more players to be recruited. This part of recruiting has changed a lot. With the advent of graduate transfers and regular transfers and also the importance of JUCO players, there is a declining emphasis on high school players. As an example, Buffalo had three signees announced and they are all JUCO players. All that to say that there's a whole other world of recruiting that will happen after the season ends, like it or not. Welcome to the Falcons, Chanlder and Davin. BG has yet another interim-era verbal commitment. This young man is Chris Oliver, a two-way lineman from Erie, PA. He plays at Cathedral Prep which is a legendary football program in that region. He's listed on HUDL as 6'4" and 293. There's another news story that mentions him from his junior year and he was in the 260s so that's decent. Note that he thanks his personal trainer in the statement above. As is typical with lineman, there's not a lot of information on him. They don't rack up stats and they don't end up in news stories very often. There's no 247 profile on him. A tweet from his school notes when he got the BG offer and that it was his first FBS offer. He had offers from Notre Dame College, West Virginia State, Slippery Rock...based on a scroll of his twitter feed. This post notes that he's expected to play d-tackle in college...noting that this is a tweet from his high school. The lack of rankings don't have to mean anything. We've seen what happens with guys with big star ratings--it's no guarantee they even make the field. He plays at a state champion program. They are 9-3 this year and they are playing today in the first round of the state playoffs. If he's got the fire in the belly, let BG be the place where he proves everyone wrong. Welcome to the Falcons, Chris. So, BG got the job done last night against North Carolina Central. There was a dicey period in the second half, but BG won by 15 after NCCS had lost by 20 and 21 to Clemson and Cincinnati, so in the end I think the result worked out as we would have hoped. BG led by 14 at halftime and had the lead as high as 18 in the early second half. I don't really start to worry until it gets below 10, which it did with 12 minutes left. The Eagles kept chipping away, getting the lead to 7 at one point. Between 8 minutes and 5 minutes, Zacarry Douglas nailed 3 3FGs and with 5:17 left the lead was down to 4. Coach Huger took a timeout and BG came out and finished the deal, going on a 7-0 to lead by 11 with just inside 2 minutes left to play. In all, BG had a 15-4 run to close the game after that timeout. Looking inside the numbers, it was a slow paced game at 64 possessions. 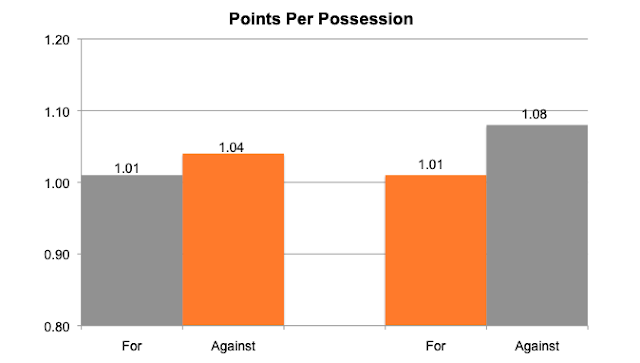 Last year, BG only played 2 games with fewer possessions. So what this means is that any stat you see is more impressive than on a fast-paced game. BG ended up with 1.18 points per possession, which is their best this year would have been the 5th best last year. That's as it should be, but doing what should be is not a bad thing. They got there with good shooting. BG shot 58% on 2FGs and 35% on 3FGs. Last year, the D1 averages were 50% and 35% respectively. BG combined that with a strong game in terms of taking care of the ball. The Falcons did not rebound very well, but were only called for 11 fouls to NCCS with 19. BG was 11-17 from the line (not very good) but NCCS was 2 of 7. Meanwhile, NCCS shot better than BG would like, with 45.2% on 2FGs and 38.5% on 3FGs and 26 of 57 FGAs from beyond the arc. However, they turned the ball over more than they should in a 64-possession game and didn't get any help at the free throw line, and that was what resulted in the .94 points per possession, which was about what VCU had. For BG, Wiggins continued to lead the way. He had 22 points and 13 rebounds in a slow-paced game, which is pretty good. He shot 10 out of 11 from the field and had only 2 turnovers. He only got to the line for 5 FTs. He only made 2, but has been around 80% for the year, which puts pressure on teams in terms of whether to foul him or attempt to defend him. Justin Turner scored 20 with 8 of 15 shooting and 3 of 5 from 3FG. The biggest surprise was Jeffrey Uju who scored 13 points on 5 of 9 shooting and made a trey to go with 4 boards. We'll wait for a larger sample size to be sure, but I think that Uju appears to be a much-improved player. Dylan Frye struggled to shoot but had 8 assists over 1 turnover. Michael Laster added 4 assists in 15 minutes. Lillard struggled to shoot but had 6 rebounds. Anyway, BG is now 2-2. Next up is Hampton from Calihan Hall in Detroit. I think it is safe to say this program is languishing. 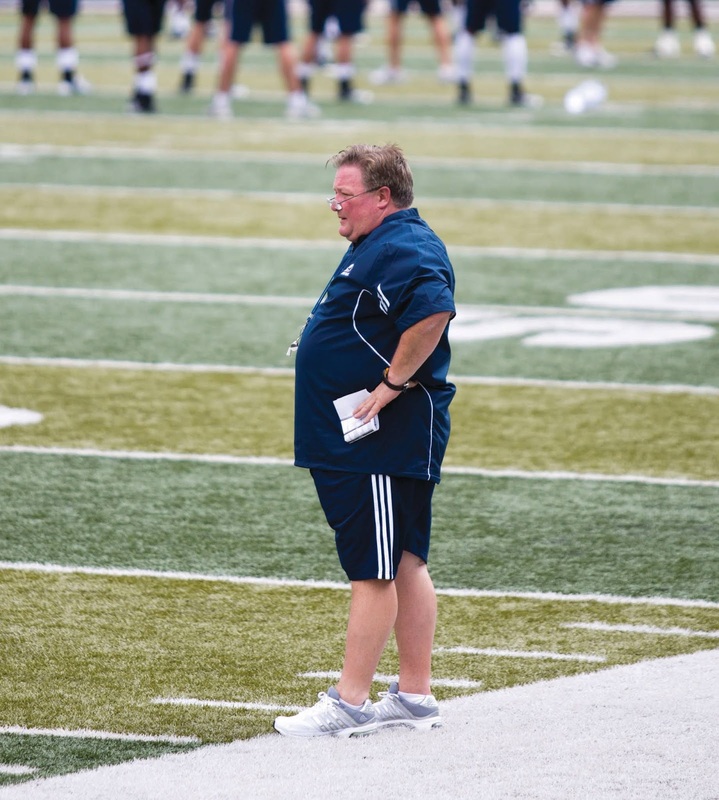 Bowden has been here seven years--and has won everywhere he coached--but Akron appears to be immune to his skills. He's 34-49 in seven years and 4-5 and 2-4 this year. Akron did win the East last year and beat Northwestern this year--the Wildcats will play in the Big Ten Championship. Their two MAC wins are over CMU and Kent, which is a lot like BG's could be. They have 26 which is pretty normal. The offense is very young. Well, that depends. Kato Nelson is their normal starter and he's not bad. Not a great passer but can run the ball. He was injured in the NIU game and was not close to playing last week against EMU...a game in which the offense really struggled. Nelson is questionable for the game tomorrow. Without him, it gets much easier for BG, especially with their history of troubles with running QBs. 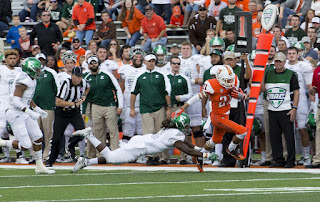 Last week, BG put on their big second-half show against the worst offense in the MAC. Akron is second worst, 11th in points and in yards per play. Nope. They are last in rushing at 2.9 yards per carry. They are 11th in pass efficiency. One of two teams in the MAC completing 49% of their passes with 6 TD and 10 INT. They do get 12.2 yards per catch, which is not bad. Williams and Smith both have big play potential for the Zips. They run on 52% of their plays, which is run heavy. They are last in the MAC at 30%. When they get their, they are not bad at 5.3 per trip, but they have only 11 red zone trips in 6 games. They do not. They are sacked on 9% of their passing attempts. They are 7th in scoring defense but 4th in yards per play. Part of that discrepancy might be their awful turnover ratio. They are 8th in yards per carry allowed. They are 5th in pass efficiency defense. They allow 61% completions for 9.8 per reception. The latter is really good. They have allowed 4 TDs and have only 2 INT. They do. They are 4th in the MAC with 35%. They are pretty good, with 4.5 points per trip allowed. They are OK, with sacks on 6% of attempts. Akron also hired a high school coach once. They are 2nd in net punting. They are 2nd in punt returns with a TD. This is Jeremiah Knight, he's a good one. Gasser is real good. He's 13 of 17 for the whole year, long of 49, 7 of 8 inside 40. Opponents start on the 25. This is another of these who loves football games. Akron is playing for bowl eligibility and given that they added South Carolina to replace Nebraska on the schedule, they will need to win their remaining MAC games to get to 6 wins and bowl-eligibility. Based on the last Akron game I saw on #maction, the stands will be empty and any motivation will have to come from inside. This team is a good matchup for BG and that's especially true if Nelson doesn't play or isn't 100%. Love to see BG put 2 in a row together. BG is a 6.5 point dog. BG returns home to the Stroh to take on North Carolina Central, a team that played in the Big Dance last year out of the MEAC. They are picked 2nd this year in the MEAC by Blue Ribbon. It is the first meeting between the Eagles and the Falcons. BG did play Norfolk State and Morgan State from the MEAC last year. The Eagles are 0-2 this year, however, they lost to Clemson and Cincinnati by 20 and 18 points respectively. Both those teams are ranked, so this game will be significantly different for them. The Eagles are led by 6'9" Raasean Davis, who is pre-season all-MEAC. He scored 15.7 last year with 8.1 rebounds and was 3rd in the NCAA in FG% (67%). Their leading scorer this year is Randy Miller, a transfer that started at Mt. St. Mary. He's 6'3" and scoring 15 PPG on 43% and 46% shooting. 6'8" Zacarry Douglas is improving scoring 9.5 PPG and 8.5 RPG. Guards Reggie Gardner and Jordan Perkins were third-team All-MEAC preseason. As a team, they are shooting 34% for the year, but again, they've been playing tough competition. This is one BG just needs to win and hopefully win comfortably. They're coming off a pretty one-sided loss at VCU on Monday and this is a part of the schedule where they need to get some W's. Coach Pelini had the chance to address the media Monday. He said something interesting things. First, he talked about a new drill he did with the oline and dline playing 1s on 1s. They start every practice with it and he feels that it has made the team better and more physical. Second, they looked around for guys who were being under-used on the current roster. For the second week in a row that focused on Grant Loy, who is being used in a change of pace wildcat package, except he can also throw. I continue to think that Pelini would feel better with Loy in, just based on how Nebraska used to play. For example, Karl Brooks (True FR) caused the fumble Junior scored on. Cedric Mitchell contributed on special teams. Caleb Biggers has started the last 2 games as a safety. So, I think everyone knows that the first two Jinks recruiting classes were thought to be good. There were some losses and this year's class is currently way below the standard of the first two. Even so, a new coach will have some talent on the way, if players can be retained. We shall see. Woof. Long night in Richmond. VCU is notoriously tough at home and notoriously difficult to prepare for and BG felt the business end of that with a 72-61 defeat. That score does not capture the game, however. VCU led by 14 at halftime and 20 a couple minutes into the second half. It was as high as 25 and was still 20 with 4 minutes left and BG got some garbage time to get the margin to 11, but it was a thorough beat down. BG turned the ball over way too often to win. There were 27 turnovers--that's 36% of your possessions thrown away. That's what Havoc is supposed to do. Coach complained after the game that most of the turnovers were after breaking the press, but VCU traps you in your end and BG was not able to keep the ball moving or capitalize on the pressure with open baskets. By the time BG was settled on offense, there were often 10 seconds left on the clock. VCU presented something BG simply didn't handle. That percentage of turnovers is the most since 2013 against Wright State. 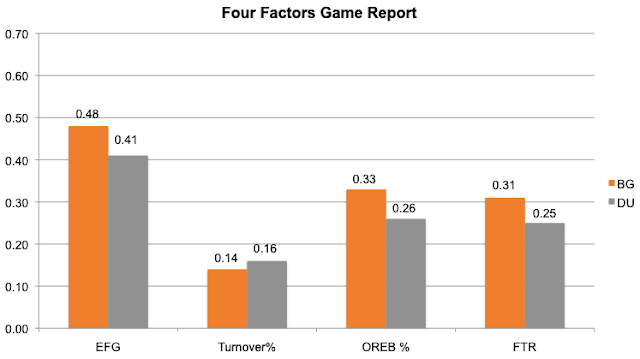 On top of the turnovers, BG made only 36% of its 2FGs, which was comparable to only 2 games last season. BG had .81 points per possession, which is not a winnable number. Surprisingly enough, VCU didn't have a great offensive game. They had only .95 per possession and shot 45% on 2s and 27% on 3s. If they had had a better offensive game, it would have been way worse. One other thing that BG did that hurt them--in addition to turning the ball over--was commit fouls. At halftime, BG had five players with 2 or 3 fouls. Eventually, the fouls evened out, but BG was in foul trouble early and BG just never got into a rhythm or settled the situation down. I guess if you are of a mind to, you could think that BG played OK defense, especially given the number of turnovers on the offensive side. On the numbers, the BG defense was good enough to win, but time will tell if that was poor shooting or replicable quality defense. Demajeo Wiggins led BG with 18 points and 13 rebounds. He shot 4 of 7 from the field and 10 of 11 from the line. He did make 6 turnovers. Frye had 12 on 4 of 7 from 3, but had 1 assist and 4 turnovers. Justin Turner had a rough 10 with 4 of 11 and 0 of 3 shooting, but added 6 rebounds and 4 assists and only 1 turnover. The BG bench went much deeper, but it was a struggle. Laster was 1 of 5 shooting with 7 rebounds and 6 turnovers in 17 minutes. Fields and Sierra were each also 1 of 5 shooting. Anyway, it was a forgettable night. Things should look easier Thursday with North Carolina Central at the Stroh. Against all odds, BG has collected its second verbal in the Pelini interregnum. This young man is Davion Daniels of Hubbard, OH, which is over by Youngstown and a place where football is at the center of everyone's life. Daniels is a highly productive player. He's a QB who plays both ways and is a highly productive dual-threat signal caller. This season, Daniels has completed 75-102 passes for 980 yards and 17 touchdowns. He is completing 73.5% of his passes. Daniels has likewise amassed 1,408 rushing yards, with 18 touchdowns, and is averaging 10.8 yards per carry. He's 6'0" and 155 pounds. There's no information I can find on whether he had offers and I have no idea what the long-term plans are for him. Highly-athletic dual threat QBs often translate to slot WRs or Dbacks in college, but that remains to be seen. He is, clearly, a football player and you can find a spot for a guy like that. In the meantime, welcome to the Falcons, Davion. James Morgan has has 291 yards passing and 3 TDs. BG heads from New York to Richmond to take on the VCU Rams. The Rams are a very famous mid-major program. They made that famous run from the play-ins to the final four a few years back, and have been a consistent fixture in the NCAAs even after moving to the A-10. They have a rocking gym and a pretty good home court advantage BG will have to deal with. Their coach is now Mike Rhoades, who was Shaka Smart's assistant back in the golden days. They are not expected to be as good this year, though time will tell. The pre-season media poll in the A-10 had them picked to finish 7th. They are 2-0 to date. They have had two games against lower ranked teams--Garder-Webb and Hampton--and beat them both 69-57, which is just weird. Last year, they were 18-15 and lost 2 starters from that team. To date, they are scoring a point per possession (which is average right now) and allowing only .97 per possession, which is really good. 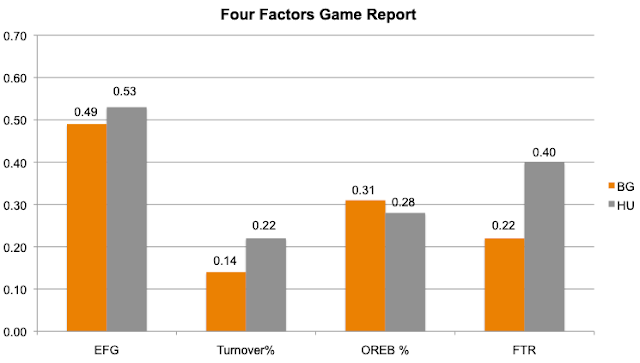 Forcing turnovers was always their hallmark and they are still good, getting them on 26% of possessions. Unfortunately, they are committing them at the same rate. They have been very difficult to shoot against and average with their own shots. They get to the line a lot, though they have made only 61% of their FTs. Individually, the first thing to know is that VCU plays a lot of pressure and a lot of guys. They have 12 players averaging 9 minutes a game or more. Their leading scorers all average all points a game. Isaac Vann scores 11.5 on 9 of 24 shooting and 6 rebounds. Marcus Evans is scoring 11 points but only in 14 minutes per game and shooting 6 of 13. Marcus Santos-Silva scored 11 ppg in 17 minutes and shooting 10 of 14. This will be an intersting one. On the road, this is a tough test, but it's not undoable if BG can continue to shoot well, which has been their major improvement to date. I'm out of town, so this won't be the usual full analysis post I like to do. I followed the game and then saw the last five minutes once we arrived. I am so happy for our players. They have been through so much this year, with the losing and the injuries and the coaching change...this was tailor-made for mailing it in for the remainder of the year. And then yesterday, down 13-0 at halftime, that was a situation tailor-made for throwing in the towel for the rest of the day. That wasn't what happened. BG came alive in the second half with big plays on special teams and defense and on the road they rallied to win and earned the celebration they had in the locker room and when the flag went up. For as upset as fans get, the players are actually living it. This season has been their daily reality. They were the ones who went to practice every week after we lost. They stuck together, they kept working, and they finally got rewarded. So I am happy for them. And proud of them. Bad times don't build character, they reveal it. It's easy to stay motivated when things are going well. What they did was way harder. They didn't create this mess, but they fought through it. I'm very proud of them as a Falcon.